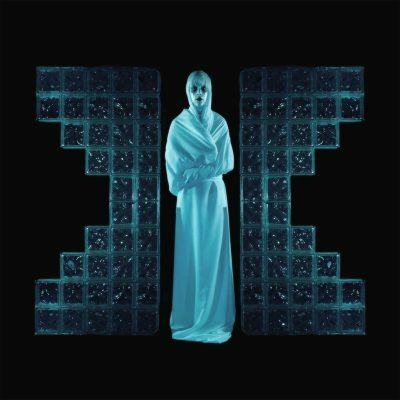 Laced with reminiscent melodies from the new wave scene of the 1980s, Drab Majesty’s new release, The Demonstration, is the album that will introduce 2017 to the ways of the past while still capturing the futuristic destiny of upcoming trends. The 11-song album is full of tracks that take those who listen on an unearthly journey, providing not only a good beat to bob your head to but also music that transcends the glamour of nightlife and illustrates the complexities of feeling blue. Distorted introductions, melodic synthesizers, energetic drums and mystifying guitar riffs create a sound that’s irresistible to the ear from the very first track. One second under a minute, the opener offers a hypnotizing melody that carries listeners away. “Introduction” slowly builds as the seconds roll by, and the synthesizers meet with the guitar to flawlessly melt into the second song on the album, “Dot in the Sky.” The steady build-up is smooth to the ear, and the vocals are perfectly mixed into the magic. Since the first song bleeds into the next seamlessly, the progression of the piece introduces new elements and effects, and once the vocals hit, you’re in a trance where it’s impossible not to bob your head. This is a brilliant use of the first song of the album and a perfect way to launch this full-length masterpiece. Throughout The Demonstration, there are moments when I’m teleported back in time, like I’m in a dark club swaying to the melodies of bands like Sisters of Mercy and other goth staples. This album brings to the genre, and the subculture, something fresh and interesting to dance to, while still conveying the signature mysterious, darkwave features. This nostalgia is found in almost every song on the album, but I enjoyed it most during “Kissing the Ground” because it sounds exactly like something you’d hear in a modern, coming-of-age film. It’s the perfect mix of dance-y, melodic and dark. It’s impossible not to get caught in the web that Deb Demure spins with his intoxicating voice.